The Jolly Roger first began life back in 1964 as just a miniature golf course and a driving range but over the last 50 years it has transformed into an institution of Ocean City. Jolly Roger is 35 acres of fun for the whole family and has entertaining visitors to the area at the heart of all it does. From such small beginnings it can now boast four separate parks which each offer hours of joy for children and adults of all ages. Jolly Roger is located at the southern end of the Boardwalk, and has become a firm favourite with tourists and locals alike with millions of visitors passing through and enjoying the amusement park rides, the games, the golf course and the unending entertainment. The famous giant Ferris Wheel is located here as are a number of other thrilling rides including the Looping Star rollercoaster, the Slingshot and a Double Decker Venetian Carousel. There are also plenty of places to eat and drink including Thrashers and Boogs. 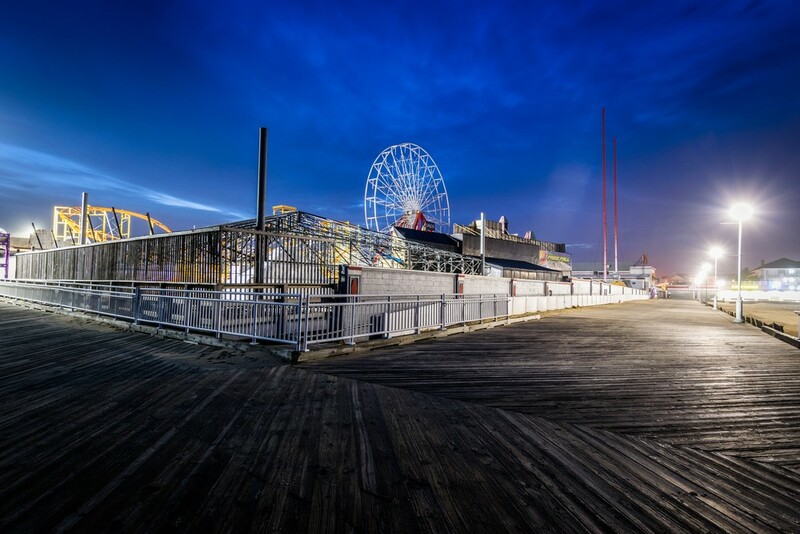 It costs nothing to visit, you just pay as you play and its easy to find location means that from the Grand Hotel Ocean City, you can either walk or catch the Coastal Bus and be on the amusement park’s doorstep in minutes. With 10 tracks, Speedworld can easily claim to be the biggest go-kart facility on the East Coast and features hundreds of cars, and plenty of entertainment and games to go along with it. There are even two tracks for younger children so they don’t need to feel left out of the fun: Powerwheels and the Kiddie Grand Prix cater for smaller visitors. Located directly next to Jolly Roger at the Pier, Splash Mountain offers hours of fun with 17 different slides for the whole family to enjoy. There is the Aqualoop which has been credited as the number one waterslide in the country, Stealth which features a 45 foot vertical ramp and an exciting Rainforest play area complete with slides, rope walks and lots of water guns. 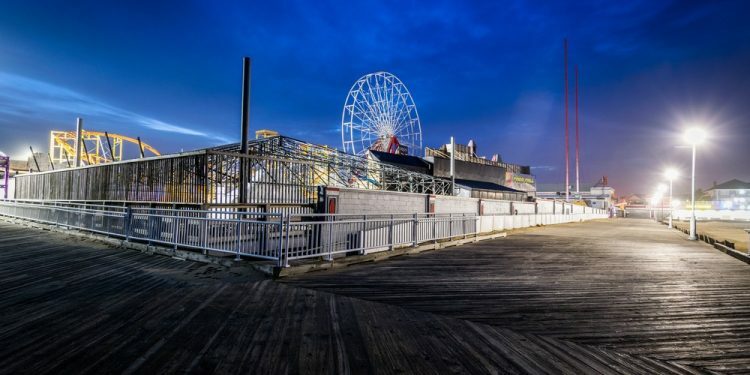 If you are taking advantage of one of the Ocean City Package Deals then make sure you stay for a couple of days or more to really get the most out of the different amusement parks you can discover here. Although there are some larger rides here, Jolly Roger at 30th Street has lots of fun for younger visitors to explore with rides such as the Teacups, Happy Swing and Monkey Mayhem. There is also a jungle themed miniature golf course and a free circus which performs twice a day and features acrobats, jugglers and other classic circus acts.